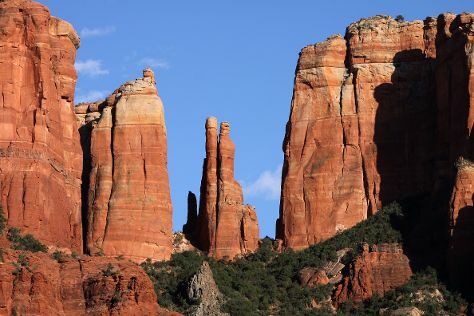 Get out of town with these interesting Flagstaff side-trips: Sedona (Cathedral Rock, Chapel of the Holy Cross, & more). Next up on the itinerary: explore the fascinating landscape at Painted Desert and take in the architecture and atmosphere at Nativity of the Blessed Virgin Mary Chapel. To see reviews, other places to visit, more things to do, and other tourist information, use the Flagstaff road trip app . In November, daytime highs in Flagstaff are 53°F, while nighttime lows are 25°F. Finish your sightseeing early on the 9th (Fri) so you can travel back home.